Dannon set out to breathe new life into Dannon Fruit on the Bottom and launch the first national advertising campaign for the flagship brand in over a decade. Historically, Dannon would collect qualitative insights from traditional, in-person focus groups and quantitative insights from online surveys. These options generally took anywhere from one month to 6 weeks to complete, and then the results would only provide a “snapshot” in time of the customer. 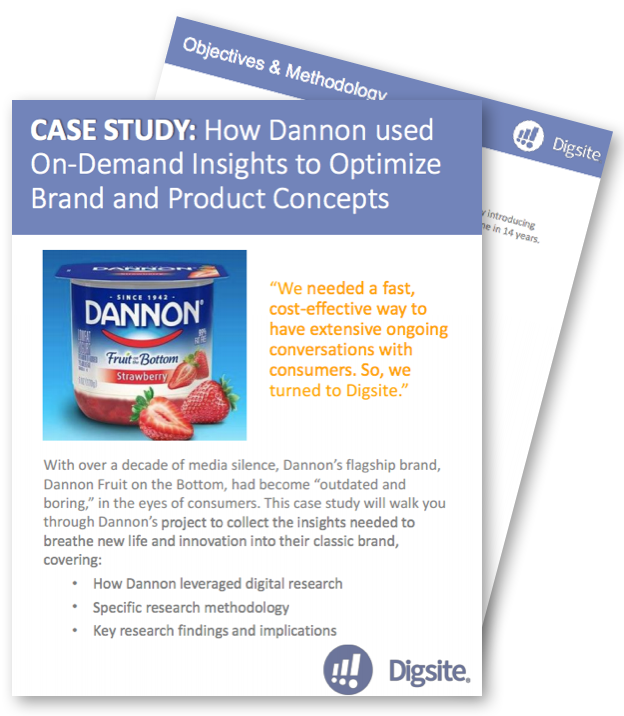 So Dannon turned to Digsite Sprints for a fast, cost-effective solution to allow for extensive conversations around their proposed marketing and product concepts.